Creating ideal web designs for a site is not an easy task. Different types of websites have different goals, and you need to work accordingly. For instance, if you are working on a lifestyle blog, graphical images and white space are the norm. That said, for an educational website, a simpler design would work fine. Though you can absolutely customize every piece of your design, that can be very time-consuming. What if you could find a beautiful website you love and mimic that design? It would definitely save some time and show you what’s truly possible with WordPress. I looked for sites that accomplished a specific goal within each category. Note that this list considers the major goals a site would be targeting and it may vary for some sites, but you will mostly find a site working on design changes for the above list. After funneling the most useful tips, I found some great insights to share with you. This post will help you learn the design changes to do that will help you serve both the better UX and functionality. The Unbiased Reviews is an Amazon affiliate website managed by James Galea (an appliance expert and marketing specialist). What design changes would you suggest for improvising conversion rate? These tips make a lot of sense; I read a similar post on seoroundtable which clearly stated that an AMP page is only valuable if the user experience is not compromised. 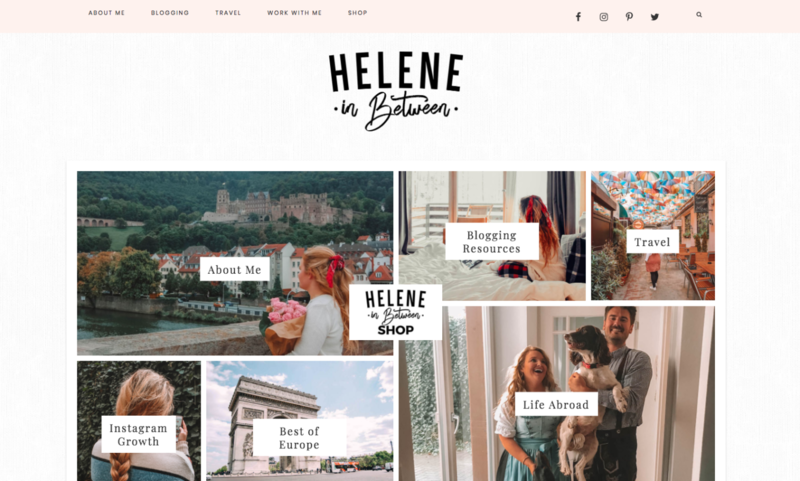 Helene In Between is a lifestyle and travel blog with over 100k monthly readers. What design changes have you done on your site for boosting traffic? “I would say that the best way I’ve changed my blog is to add tabs for most asked questions. For example, my design used to focus on travel, blogging, and social media. But so many people asked questions about my Life abroad or traveling with dogs. So instead of making them dig, they are now able to click on images that direct them to those specific posts,” Helene said. Navigation of this site is eased to a great extent. If you scroll down to the end of the homepage, you will find images a bunch of images. Adding eye-catchy pictures connected with a relevant post is a creative way of the engaging users. It helps not only with traffic but also in easing the navigation. 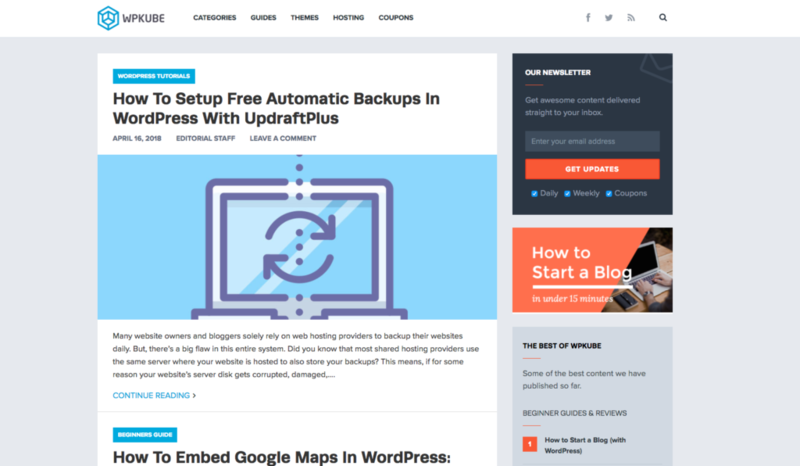 WPKube is an online resource featuring WordPress info, design posts, and related technical guides. What design elements have you changed for better User engagement? KwFinder is a marketing tool for keyword analysis. I contacted Maros Kortis, who is managing the marketing related activities. What design changes have you done on KWFinder for improving leads? We’ve added a “Don’t miss any future post!” subscribe form under each blog post. During the first month, we gained 10% more blog subscribers that in the past. CTA buttons and highly-relative post suggestions have always worked well for better conversions. I mentioned CTAs as a good way of enhancing your design, in one of my previous post on Torque magazine. Onextrapixel is a web design and inspiration magazine. You can also find web development guides on this website. What design elements you pushed on, to get more Subscribers? Email marketing has always been helpful, and popup subscribe-box is your best shot here. What they said- “It wasn’t until 2017 that we realized our email list would only boost by serving relevant and of course, elegant looking popups. We used most of the things shared on the post from 2014 on smart popup guide, these tips still helps boost subscription rate. We use highly-relevant content along with the subscription popup. I have heard about the technique mentioned by Onextrapixel magazine. It is a popular marketing technique and is used by many other advertising companies like Adespresso, a post on Instagram marketing is provided with Instagram ad examples for getting more targeted subscribers. If you want to read a more comprehensive and in-depth guide for boosting subscribers, take a look at this guide on Torque Mag.